This Cardiopulmonary Resuscitation (CPR) and Automated External Defibrillators (AED) class focuses on adult, child, and infant resuscitation. 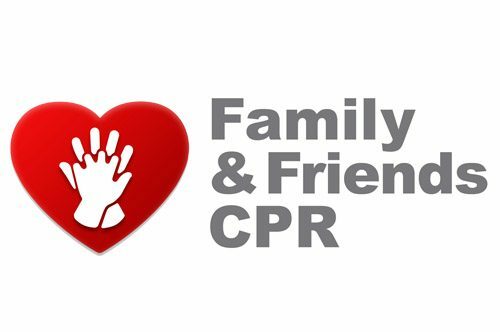 It is designed for community members who want to learn CPR but do not need a certification card. Course fee is $10, and registration is required. 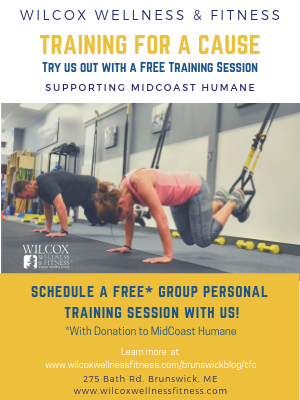 Please call (207) 373-2175 or email sguethle@midcoasthealth.com for more information. 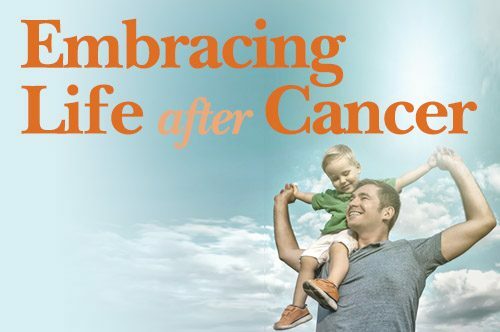 Embracing Life after Cancer is a free cancer survivorship series. 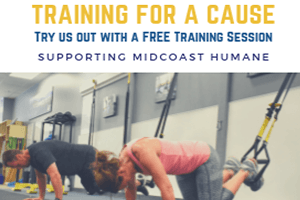 This education is offered on Tuesdays from 6–7:30 p.m at the Mid Coast Center for Community Health & Wellness. On May 14, join Michelle Hayes, LCSW, for Financial Challenges After Treatment Ends. 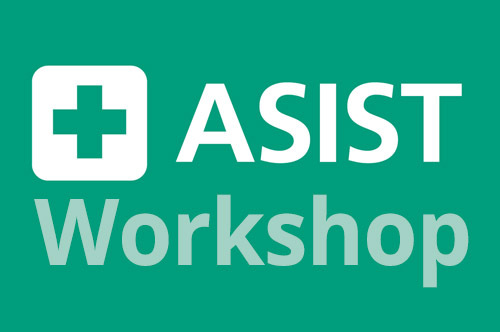 Topics include health insurance, returning to work, reasonable accommodations, and disability. 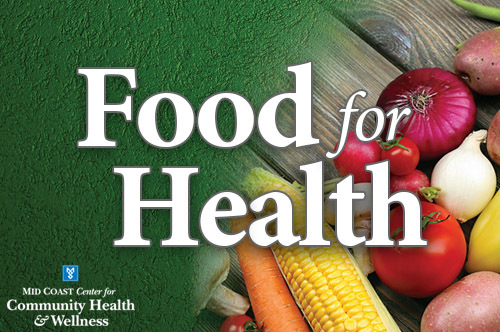 On Tuesday, May 14, join us at the Mid Coast Center for Community Health & Wellness for a cooking demonstration and discussion titled The Impact of Diet and Lifestyle on Congestive Heart Failure, presented by Timothy R. Howe, MD. 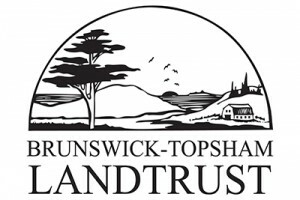 Join the Brunswick Topsham Land Trust for a bird walk led by Merrymeeting Audubon’s Jan Pierson at Crystal Spring Farm in Brunswick. 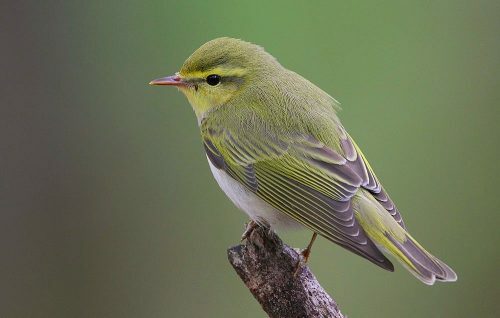 We hope to see sparrows, bluebirds, bobolinks, and several species of warblers on this walk through a variety of habitats, including fields, forests, and wetland. 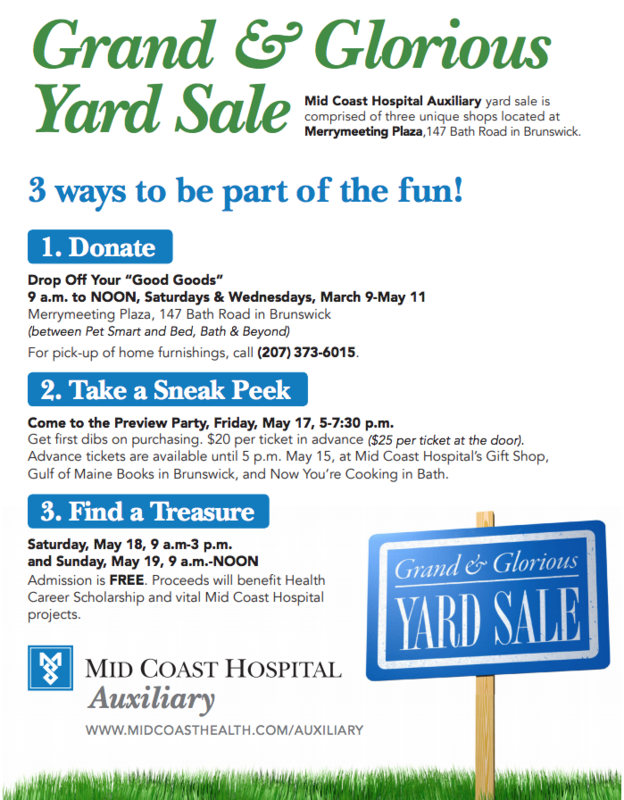 The Mid Coast Hospital Auxiliary will host its annual Grand & Glorious Yard Sale May 18-19. Presented as a suite of boutiques at Merrymeeting Plaza, join us for two days of shopping, fun, and support of the Hospital! Drop off donations from 9 a.m. to noon on Saturdays and Wednesdays through May 11 at Merrymeeting Plaza, 147 Bath Road, Brunswick, between PetSmart and Bed, Bath & Beyond. For furniture pick-up, or if donating the contents of a home or business, call (207) 373-6015. Get first dibs on purchasing at the Preview Party on Friday, May 17 from 5-7:30 p.m. $20 per ticket in advance until May 15, with tickets available at the Mid Coast Hospital Gift Shop, Gulf of Maine Books in Brunswick, and Now You’re Cooking in Bath. Tickets $25 at the door. 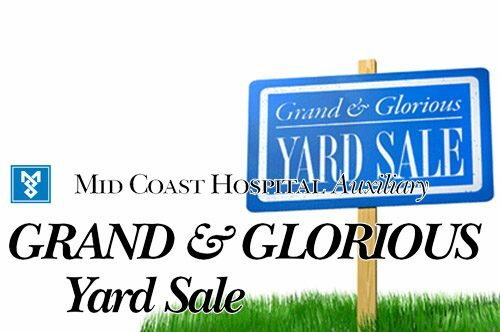 Shop with us in May to support vital Mid Coast Hospital projects! Game day at Fascination Station Toys is BACK. 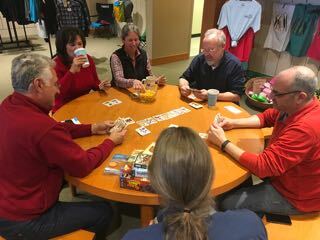 Please join us Sunday afternoons from 3-5pm for a fun, social, and lightly competitive afternoon playing board games, card games, and more! This is a great chance to meet new folks, enjoy some refreshments, and check out our game selection and special deals! 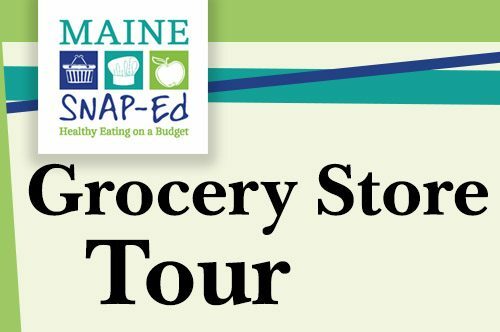 Drop us an email, stop in to the store, or call us at 207-729-9545 to reserve your seat at the table! FREE beverages and snacks. Join us for Scooping for Community 2019! Mention Oasis and your whole sale will come to us. 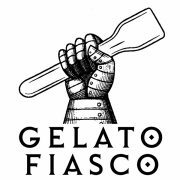 Delicious gelato and support for Oasis — it’s a win/win! 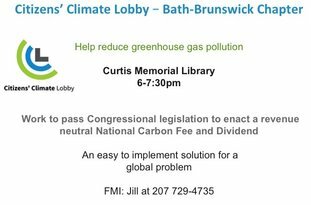 CCL Bath-Brunswick works within the communities of Mid Coast Maine to advocate, educate and build political will so that we can persuade our local members of Congress to enact a national carbon fee and dividend. We work by building relationships and finding common ground. We welcome anyone in the area to join us. Join the American Lung Association for the 35th annual Trek Across Maine on Father’s Day Weekend – June 14 – 16th, 2019. Featuring a new route for our 35th Anniversary, cycle 180 miles across the state of Maine, with the starting and finishing line hosted at the Brunswick Landing and overnight stops at Bates College in Lewiston and Colby College in Waterville. This ride is fully supported by volunteers and trained medical staff, including support vehicles along the route and three rest stops daily. -2 day option for those of you that can’t get away for a 3 day vacation! Join us Saturday and Sunday and enjoy the Trek experience! -1 Day option for those that want to just experience a taste of the Trek Across Maine! Join us on Sunday for the last leg of the ride starting at Colby College! VOLUNTEER WITH US! We are always looking for volunteers to help us support the Trek Across Maine. We have many volunteer opportunities available. 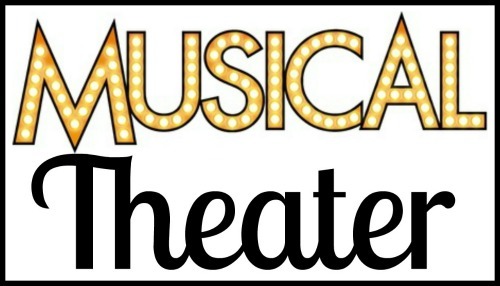 Please contact Erica at 207.624.0310 or Erica.Fredrick-Rock@Lung.org for more information. NOTE: Although we try to be consistent, mileage may vary from year to year depending on local and state construction projects. Registration is $65 registration fee. This is non-refundable & non-transferable. Registration fee does not count toward fundraising minimum. ***Note***Age Limit is 7 years and up. Children between the ages of 7 – 12 must ride a tandem or tag-a-long bike with adult guardian. All children under the age of 18 must have an adult guardian with them at all times on the route. Child and guardian are both required to meet the fundraising minimum. 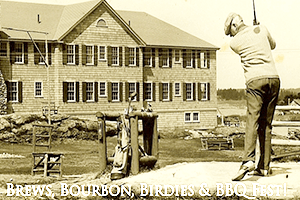 Brews, Bourbon, Birdies & BBQ Fest! 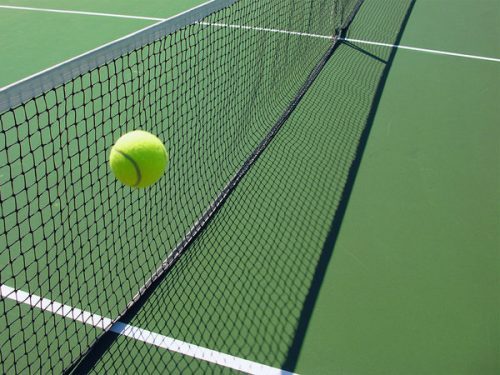 Join us for a fun filled weekend party with rates now starting at $150.00* per person per night for a 2 night stay inclusive of breakfast, dinner events & unlimited golf! amazing location . amazing food . amazing craft beverages . amazing music . amazing weekend of fun. *Based on double occupancy in a single room & quadruple occupancy in 2 bedroom cottages, dinner events are 21+ only, tax & service charge are included. Book online with promo code BEER or give us a call today. 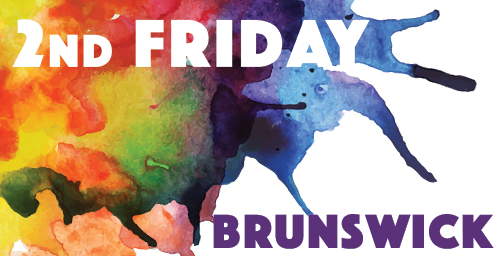 Musicians & Performers interested in being part of 2nd Friday Brunswick should contact Tom Barter at 729-4439 or by emailing admin@brunswickdowntown.org. 2nd Friday Brunswick schedule of activities, map, artist’s openings, and venues will be published in The Cryer newspaper each month. On-street parking and municipal public parking lots are free.